Set the beef stew in the crockpot, go to work and hope your house doesn’t burn down, and go home to your house smelling like everything. I’ve been on a roll with money and time saving tricks, but failed to mention the single most efficient thing in my kitchen. My CROCKPOT. I am somewhat addicted with slow cookers and literally give them as gifts to EVERYONE. Last time there was a good crockpot sale I bought 3 of every size and had my car full of them. The winter is just beginning and the only thing that will get me through it is the thought of warm soups and stews. 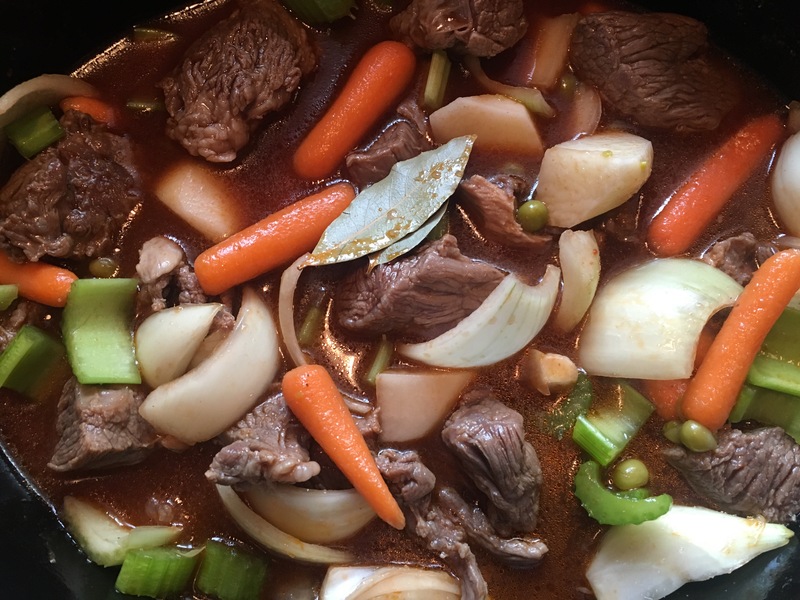 I eat stews and soup year round because they’re easy to make, filling, and you can make a ton at one time. They freeze beautifully in containers and make for quick dinners. Enough about me and my love for warm food, we have business to handle. 1 1/2 pound of beef stew cubes. I used a nice piece of chuck roast and cubed it myself but every grocery store sells pre-cut cubes. Before you do anything, spray your slow cooker with non-stick cooking spray. I only say this because I constantly forget to do it. 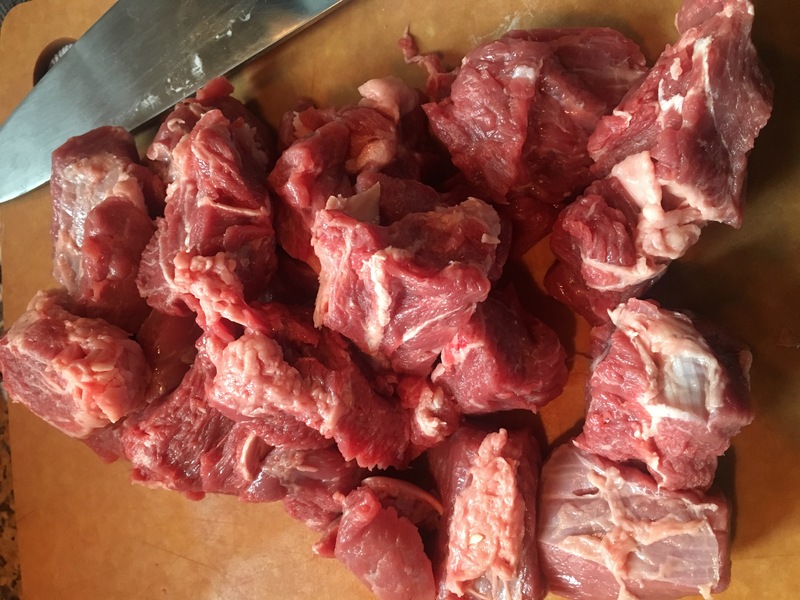 In a large skillet, put a tablespoon of butter and brown your beef cubes. Lightly season with garlic powder, onion salt and lots of black pepper. I have no exact measurements, just add what you like and normally flavor beef with. They do not have to be cooked completely, just browned on the outside to get a little head start. 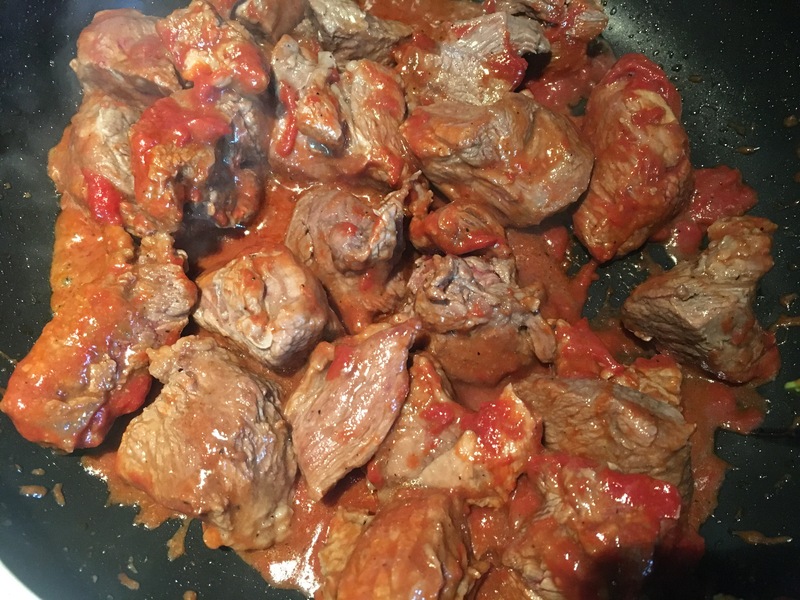 When they are done, turn off the heat and pour in your tomato paste and mix around until your beef is coated. 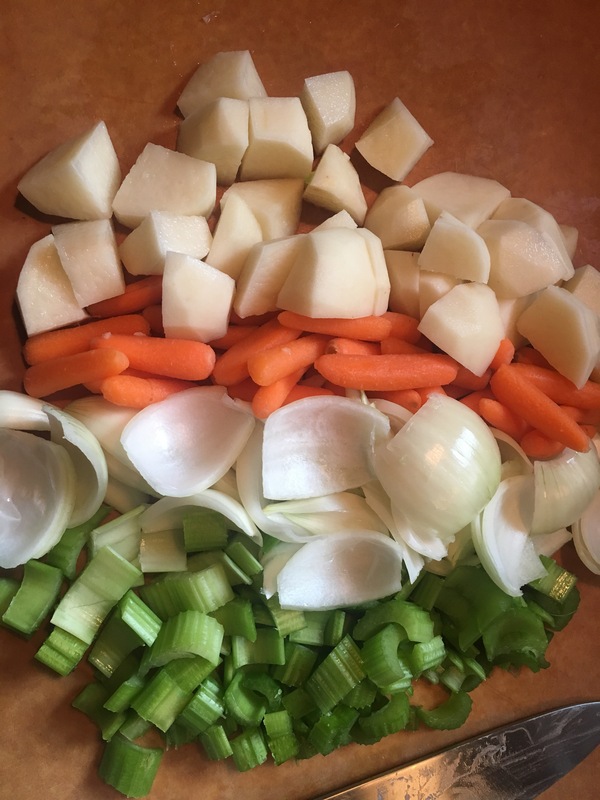 Add your chopped celery, potatoes, carrots and onions to the crock pot. Cover them with all of your stock and throw in the bay leaf. Once the tomato paste has had time to smother your beef, transfer everything to the crockpot. Cover your beef in the crockpot with your cornstarch. Do not mix because it will get mixed when you follow the next step. Add a about a tablespoon of salt and a tablespoon of ground black pepper and a tablespoon of garlic powder, mix around and cook on LOW for 7-8 hours or on HIGH 5-6 hours. This time, I cooked on high for about 5 1/2 hours.